Nothern Lights ( aurora borealis) Clean snow, skiing, dogsledding, hiking, mountainguiding, seafishing, stormchasing ,museums , sightseeing, the midnightsun in summertime. Enjoy theese activities with our cabins as base! We are situated in Valvåg at the south part of Senja. An idyllically and calm place with numerous of opportunities for adventures both on land and water. “We” are a mom and daughter that wants to offer tourists an experience for those who like silence and no distractions.  We intend to be visible and to be at your disposal when you need us. Our facility lies sheltered from distractions and you can even “hear” the silence around you. No noise and light pollution. Our location gives you a fantastic opportunity to explore wonderful Senja. There’s an endless of experiences and opportunities all around if you stay with us for a few days. Our main intention is to provide you with great experiences like sea fishing, hiking, and other activities in a wonderful nature that only Senja offers. We offer tailor-made activities to our guests. Activity requests must be booked in good time before arrival. Welcome to us – regardless if you want to stay in your caravan/RV, or in our modern cabins. We are open all year round. If you want to join local festivals, pubnights, conserts, learn how to prepaire salmon or get a dinner invitation of local dishes, please let us know in good time before arrival. We will then check for you, whats going on in the area! Check our availability on our webside! We can offer you two brand-new modern cabins made to fit 6 people, with 5 bed rooms in each cabin. The cabins are fully equipped with a fireplace, internet, appliances, and anything else you might need for a pleasant stay. The cabins are situated right next to the sea which includes a fantastic view over the sea and the surrounding mountains. Just a few steps outside the cabins you’ll find a pier with boats and a shed with benches for cutting, washing and packing fish. We are planning to build a third cabin during the next fall/winter of 2018.
operators in the area. This means that booking must be made well in advance. Senja lies 69 degrees north which increases the chances of seeing the midnight sun during the summer and the magical northern light during the winter. A meeting with Senja often leaves a mark on the people lucky enough to experience it.  We in Senja Opplevelser AS want to facilitate you so that you may have a memorable stay here. The nature north of the polar circle have through the ages had a magical attraction on people. 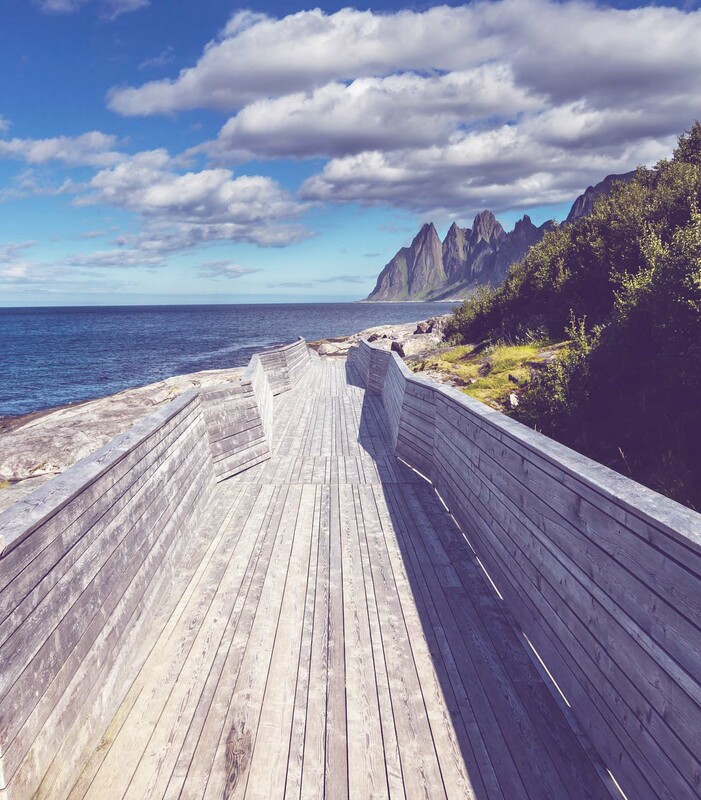 Senja, the second biggest island in Norway and its 1600 square miles, offers areas which haven’t been tempered with by humans and contains a rich history. It lives about 8000 people on Senja today, which is divided in to four municipalities: Tranøy (where we are located), Berg, Torsken and Lenvik. It’s been said by many that Senja is Norway in a miniature, because its nature reflects almost the entire country. A spectacular nature and adventures for both adults and children. The island still has places untouched by people and spots that are waiting to be discovered. Real and pure happiness is created when people have their first meeting with the northern light, as well as whales, food, the dark winter and the midnight sun during the summer, white beaches and majestic mountain peaks during the summer. Senja have everything you might want to experience whether you are here on a shorter or a longer stay. National tourist roads which magical viewpoints, art and cultural experiences of high quality, trolls and a rich bird- and wild life. The outer parts on the island is affected by dramatic mountains with cliffs shooting straight into the ocean, but also by idyllically archipelagos and white beaches. The inner parts provide a rich soil and a friendly landscape with lots of hills and birch forests. Further in the valleys you’ll find delightful small towns and smallholdings. Here you’ll also find Ånderdalen National Park. On the outer part of Senja where the heaven and ocean meet, tourists gather on the viewpoint over the town Bergsbotn. 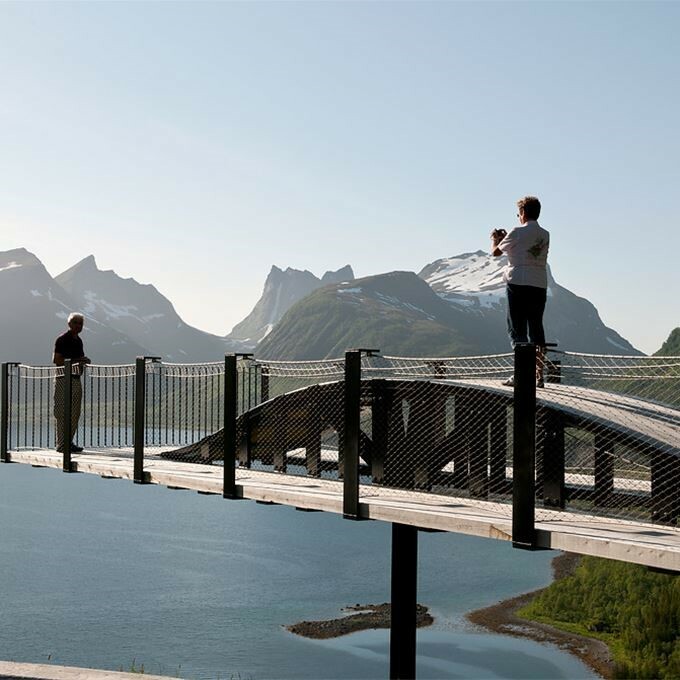 On a 44-meter-long platform you can stand and enjoy the grand view over Bergsfjorden and the vast mountains around. The steep mountains that are shooting straight into the sea several places on Senja is an overwhelming sight, and is considered as the most significant characteristic of the island. All though you can find inviting white beaches with clear and clean water all around, swimming is only reserved for the toughest among us. You can drive mile after mile in a dramatic landscape, with the occasional narrow and winding roads, and you can still find small fishing villages and houses on the most peculiar places. Senja reflects the robust and severe from a time where people had to survive of only fishing and farming, but also contains a soft side with its beautiful fjords. It’s so beautiful here that you might wonder why haven’t visited before. Senja is like a large playground for outdoor people who loves a challenge. Anybody who wants to hike, climb, paddle, dive or freeride down the steep mountain sides, will find Senja perfect. You’ll plenty of possibilities to move out in nature. It’s also possible to find more easy activities which can be of immense joy to both adults and children. Find one of the many beautiful beaches, follow the sea when it moves out and run towards the waves when it moves back in again and feel the cold water splash all over you – it really doesn’t take more than that to have a bit of fun. On South Senja you can also find the old fort of Skrolvsvik, which lies on «Senjahesten». Here you can explore old canons and other material from the days of the cold war. An exciting place which gives you a thought-provoking impression. 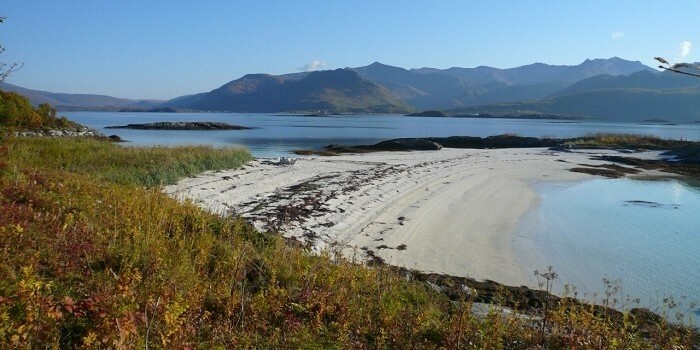 In the inner most part of Ersfjorden lies «Ersfjordstranda» with its white and fine-grained sand which instantly makes to think of other countries and beaches. Surrounded by pointy, tall mountains. This is Norway in its perfection. The restroom is an attraction in itself; shaped like a triangle and covered in gold. One the outmost part on the foreland between Steinfjorden and Ersfjorden lies the resting-place “Tungeneset”. A walkway in Siberian larch leads towards the rocks with a view over the North Sea in the west and the mountain range Okshornan in the north.